Hanukkah and Christmas are just around the corner. And if you are planning to entice shoppers into your online or bricks-and-mortar store via email marketing this holiday season, you need to make sure your email marketing campaigns stand out from the hundreds of other holiday email offers. So what can small business owners do to increase the likelihood that their holiday email messages will be opened and clicked on? Follow these 11 tops tips from small business owners and email marketing pros to make sure your email marketing delivers this holiday season. 1. Make the most of your subject line, by being specific about what it is you are offering — and using words like holiday gift ideas, sale, and free shipping. 2. Put the most important information in the first two sentences of your email, so it will show up in preview. 3. Include holiday-related photos, especially ones showing your product in a holiday setting — better yet, being opened as a gift. 4. Make your copy clear and concise — and don’t forget a call to action and link to a landing page. 5. 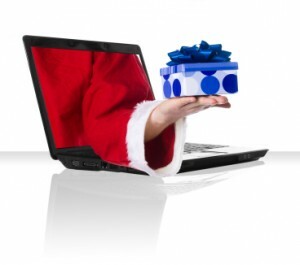 Notify customers of delivery deadlines, to make sure gifts are received on time. 6. Use limited-time offers to spark interest and create urgency. 7. Give back to your most loyal and returning customers, by offering them a discount, free shipping, or a small gift for ordering from you this holiday season or referring a friend. 8. Make sure your email campaigns are mobile friendly, i.e., can be properly or clearly viewed on smart phones and tablets as well as laptop computers. 9. Segment your email, targeting customers based on previous purchases, geography, or interests. 10. Don’t bombard people’s in boxes — and avoid peak work and family times, sending email early in the morning, at lunchtime, at the end of the work day, or on weekends, when people have more time to read them. 11. Create a seamless experience, so that your email branding and messages matches the branding and messaging on your website and social media pages.